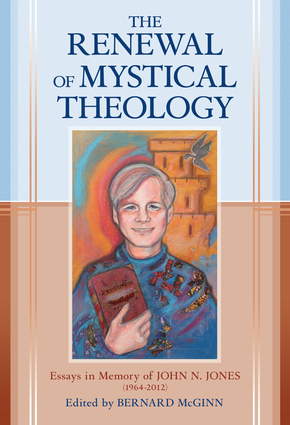 The Renewal of Mystical Theology is a memorial volume of important, original essays honoring the life and work of the late John N. Jones. Jones was a major figure in the renewal of mystical theology in the contemporary world, partly through his own writings, but especially through his generous help and sagacious care in soliciting, editing, and producing a wide range of books on spirituality and mysticism. Jones was an academic, trained in the critical study of religion at Yale University, after which time he became one of the country's leading editors in the field of mysticism. Although he published important essays on Dionysius, Jones' real vocation as a nurturer of the revival of interest in mystical theology emerged during his years as editor. The volume will appeal to teachers and students involved in Christian mysticism, as well as clergy, intellectuals, and educated lay readers. College and university instructors, as well as seminarians, can use the essays as a valuable teaching tool. Bernard McGinn is the Naomi Shenstone Donnelly Professor (emeritus) in the Divinity School of the University of Chicago. A premiere scholar of Christian mysticism, he is the author of several influential and bestselling titles, including Meister Eckhart: The Man from Whom God Hid Nothing and Doctors of the Church. He is currently completing Volume 6 of his magisterial Presence of God series.